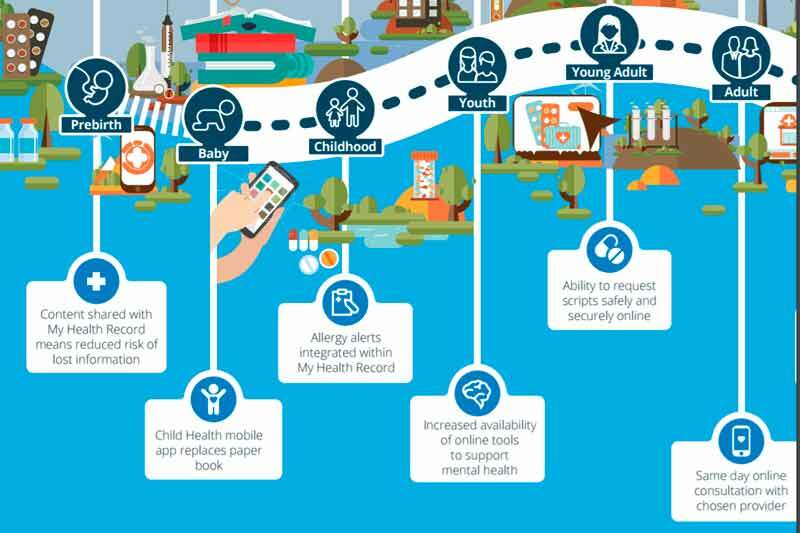 The Council of Australian Governments (COAG) Health Council approved Australia’s National Digital Health strategy (2018-2022) on August 4, to support the uptake of digital health services. The strategy titled &apos;Safe, seamless, and secure: evolving health and care to meet the needs of modern Australia&apos; identifies seven key priorities for digital health in Australia: 1) Health information that is available whenever and wherever it is needed; 2) Health information that can be exchanged securely; 3) High-quality data with a commonly understood meaning that can be used with confidence; 4) Better availability and access to prescriptions and medicines information; 5) Digitally-enabled models of care that drive improved accessibility, quality, safety and efficiency; 6) A workforce confidently using digital health technologies to deliver health and care; and 7) . A thriving digital health industry delivering world-class innovation. The delivery of a My Health Record for every Australian by 2018, unless they choose not to have one, will underpin several of these priorities. For the roll-out of My Health Record, the Australian government allocated AU$374.2 million in its 2017/2018 Budget, over a period of two years from 2017-18 onwards, including AU$94.0 million in capital. In June, the ADHA released a Request for Tender (RFT) to develop a Strategic Interoperability Framework for Australia, to enable better and seamless sharing of information. In July, ADHA revealed that it is working together with clinical information systems vendors to develop nationally scalable secure electronic messaging between healthcare providers. The technology would enable the secure flow of health data from one healthcare provider to another, irrespective of the software they are using, the organisation they work for, or with whom they are communicating. The strategy was developed by all the governments of Australia in close partnership with patients, carers and the clinical professionals who serve them, together with leaders in industry and science. It draws on evidence of clinical and economic benefit from many sources within Australia and overseas, and emphasises the priority of patient confidentiality as new digital services are implemented. The Australia Digital Health Agency (ADHA) has established a Cyber Security Centre to ensure data security. More than 3,000 people participated in the consultation on the National Digital Health Strategy between October 2016 and January 2017. Public meetings were held in more than 103 locations across Australia. More than 1,000 formal submissions and survey responses were received. The ADHA, which is responsible for co-ordinating implementation of the strategy, will now be consulting with partners across the community to develop a Framework for Action. The framework will be published later this year and will detail implementation plans for the strategy. The strategy was welcomed by the Australian Medical Association (AMA), Royal Australian College of General Practitioners (RACGP), Pharmacy Guild of Australia, Pharmaceutical Society of Australia (PSA), Medical Software Industry Association (MSIA), Consumers Health Forum (CHF) and the Health Informatics Society of Australia (HISA). ADHA is working closely with all these stakeholders to maximise the benefits that My Health Record can achieve for patient care. For instance, on August 9, ADHA announced that six additional community pharmacy software vendors have agreed to connect up to the My Health Record system, which will make it easier for pharmacists to securely access patient care information. Negotiations are ongoing with a number of other pharmacy dispensing software vendors, and the ADHA expressed confidence that agreements will be in place with almost all vendors in the next few months. In July, a partnership was initiated with the Pharmacy Guild of Australia. In July, ADHA also announced that it has initiated a 2-year pilot for the use of My Health Record in hospital emergency departments, in partnership with the Australian Commission on Safety and Quality in Health Care (ACSQHC). Read the National Digital Health Strategy document here.